Cook took home $3 million as base salary and $12 million as bonus. Apple paid $680,000 as "other compensation" to Cook, which includes private air travel expenses and security costs. Apple Inc hiked the salary of its chief executive Tim Cook by 22 per cent during the past year, resulting in his remuneration for 2018 reaching almost $15.7 million, a filing submitted to the US Securities and Exchange Commission showed. According to the document, Cook took home $3 million as base salary and $12 million as bonus. Apple paid $680,000 as "other compensation" to Cook, which includes private air travel expenses and security costs. This was the second year in a row that Cook saw a hefty rise in his pay cheque. The 58-year old received Rs 12.8 million as his annual compensation as the Apple CEO, whereas he was paid $8.7 million in 2016. "The Compensation Committee determined that no downward adjustments to the payouts would be made based on Apple's 2018 performance and the individual contributions of our named executive officers and approved the maximum total payout at 400 percent of annual base salary," the Apple filing said. This strong sales performance Apple posted during the most part of 2018 was also cited as a reason by its compensation committee to justify the $12-million bonus paid to Cook. "We achieved net sales of $265.6 billion and operating income of $70.9 billion, each representing a year-over-year increase of 16 percent, and exceeding the 2018 maximum annual cash incentive program goals for both of those performance measures," the document said. While Cook got yet another salary hike in 2018 off the robust sales performance by Apple, this year might not be so favourable. With the beginning of 2019, the Cupertino tech giant had to cut its revenue outlook for the first time in almost two decades due to slowing demand in China, its biggest market. Apple saw its shares tank 10 per cent after its revenue revision announcement in its worst day in the past six years. 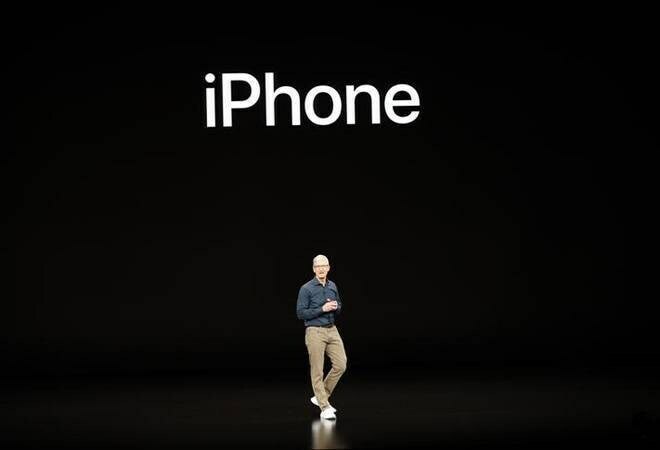 Apple has reportedly been struggling to sell its latest line up of smartphones, iPhone X, iPhone XS and iPhone XR. Usually, iPhones make up for a substantial portion of the company's sales every year. Additionally, the tech major has reportedly cut its first quarter production plan for iPhones by 10 per cent.